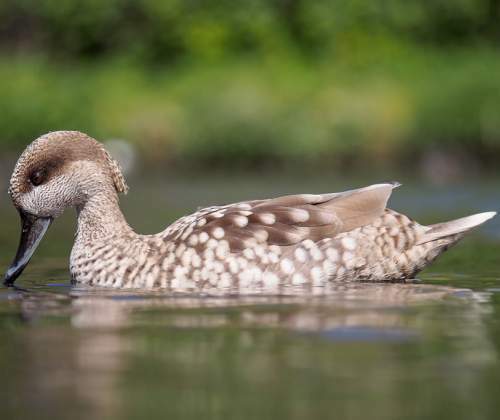 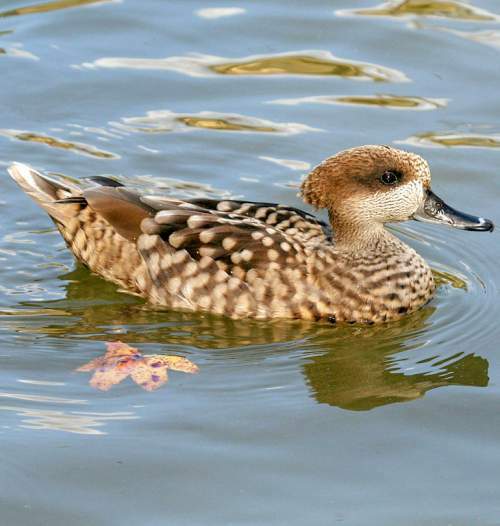 The Marbled teal (Marmaronetta angustirostris) belongs to the family of ducks, geese, teals and swans, the Anatidae under the order Anseriformes. 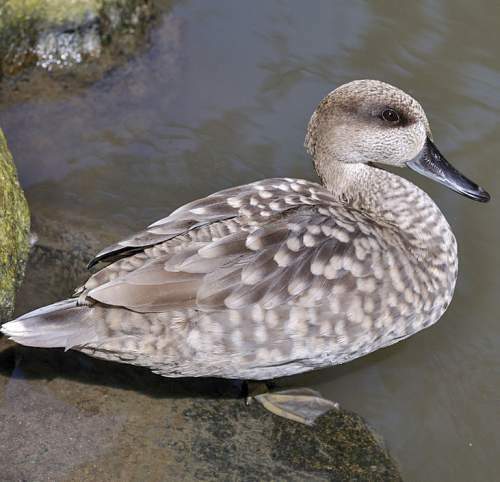 The family Anatidae comprises seven subfamilies, including Anatininae. 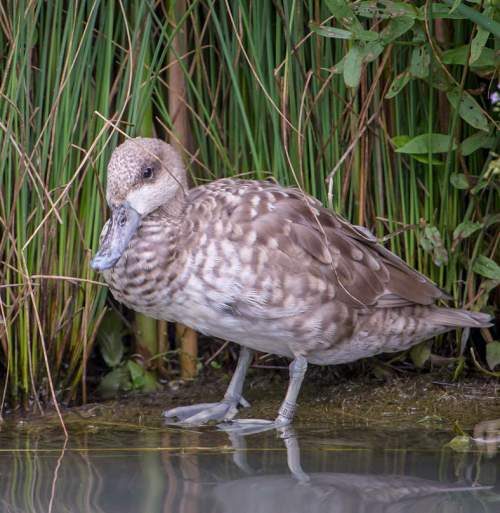 The subfamily Anatinae was first described by William Elford Leach, MD, FRS (2 February 1791 – 25 August 1836), an English zoologist and marine biologist, in the year 1820. 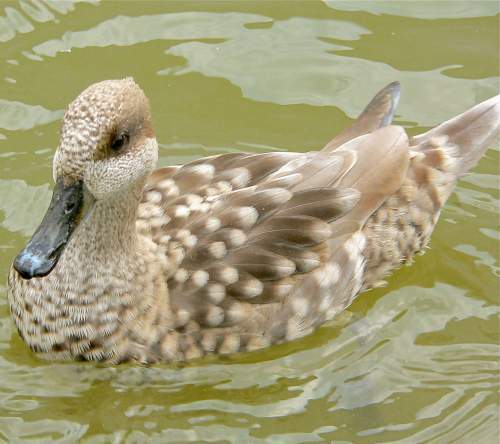 Several genera have been placed under the subfamily Anatinae, including Marmaronetta (teals). 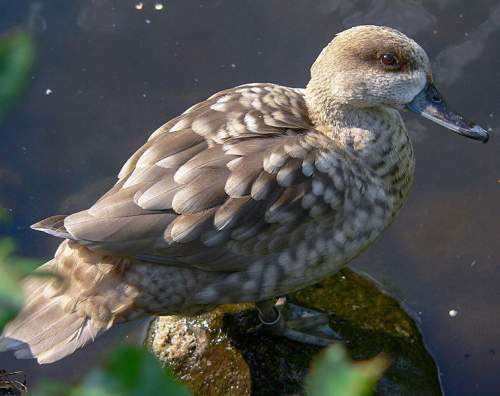 The genus Marmaronetta was first described by Heinrich Gottlieb Ludwig Reichenbach (January 8, 1793 – March 17, 1879), a German botanist and ornithologist, in the year 1853. 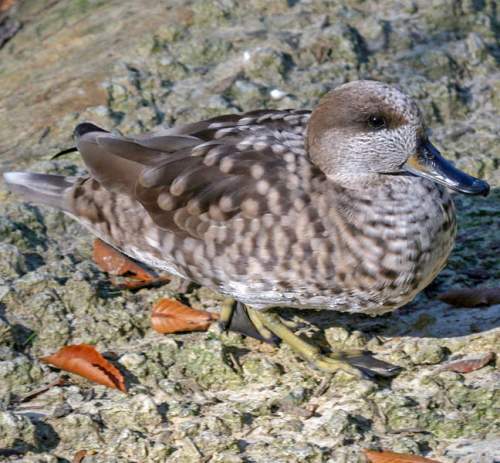 The genus Marmaronetta is monotypic and comprises the teal species Marmaronetta angustirostris. 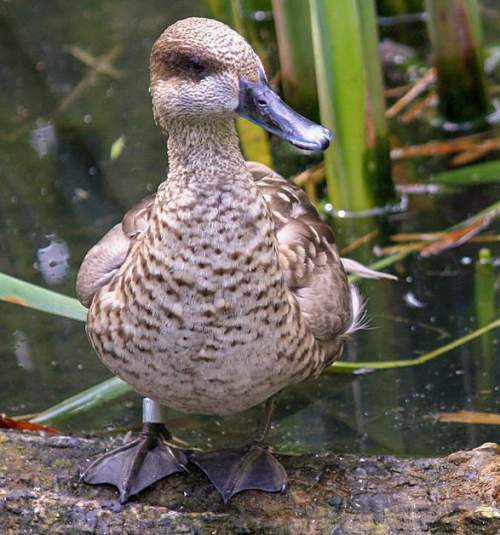 The M. angustirostris teal species was first described by Édouard Ménétries (2 October 1802 – 10 April 1861), a French entomologist, zoologist and herpetologist, in the year 1832. 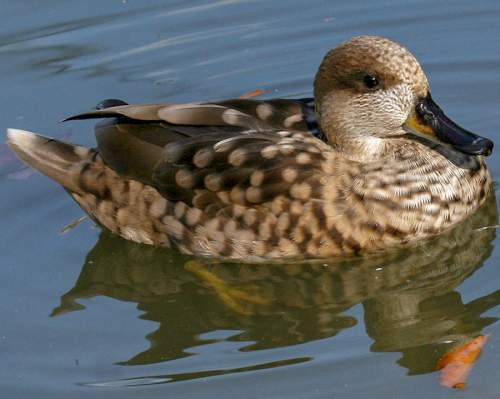 Current topic in Bird World: Marbled teal - Marmaronetta angustirostris images.